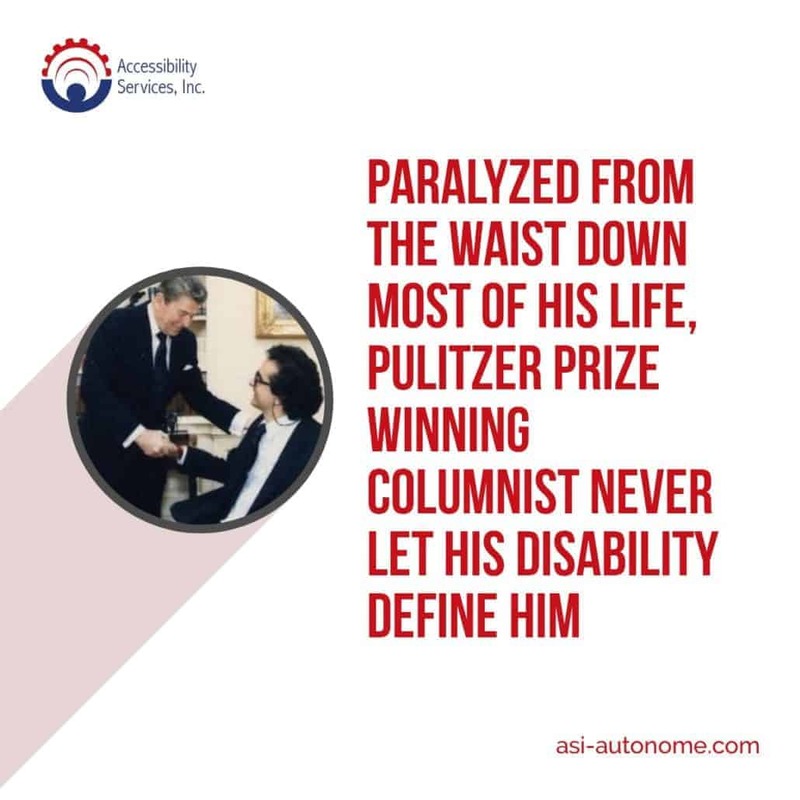 Dr. Charles Krauthammer was a respected physician, columnist and news contributor who was paralyzed from the waist down as a result of a diving accident during his first year of medical school. Despite his paralysis, he went on to finish medical school and become a psychiatrist. He later moved to Washington D.C. and directed planning in psychiatric research for the Carter administration. He eventually decided to focus his attention on writing, becoming a speech writer for Vice President Walter Mondale and a contributor for several newspapers and publications. In 1985, he began writing a column for The Washington Post which won him a Pulitzer Prize in 1987. His later life was spent as a respected columnist, contributor and political analyst. Krauthammer passed away on June 21st at the age of 68 after a long batter with cancer. He was married to his wife of 44 years and had one son. Many people never even knew he was paralyzed until just before he passed away. He never let his disability define him or get in the way of his dreams. He is a shining example that we can truly do anything we put our minds to, even when faced with a disability. Rest in peace, Dr. Krauthammer.